Hello. I go by the callsign asam3. I'm an Inventor as so to speak. I go by the laws yet my inventions seem to disregard them. I have been a close friend with Hiro's great, great, grandparents(maybe farther). He's a good kid, yet it's sad to know that he doesn't recognize me anymore. I now live my ways in this galaxy as an infinitive knowledge array, able to handle what most human minds cannot. In some ways, I live, in some, I don't. I'm practically just an interactive box, able to give out my thoughts and store information at the same time. To say the least, I'm an immortal, with nothing to live for. So, as I etch these words and cue them onto this message board, I leave behind messages, and at the same time record these datas, so that the future generation can still gather and study them. Ok, enough with the roleplaying. I'm asam3 in these boards(and others), real name would come out soon. I've played transcendence a year ago I think(or like 8-10 months) and still haven't finished it. I like transcendence because of the fact that it's mostly just playing with your imagination. It's an almost perfect example of a roleplaying game that truly lets you "roleplay" to anyone you want(but still with restrictions). Unlike other games focused on grindfests and strategies, transcendence lets you do anything, with grindfests and strategies or with none. You can just do anything you want, be it an enemy or a savior, and that's what I loved about the game. Also, the additions of items with informative backstories made it more interesting. It just makes your mind think of stuff alot. It's just sad to know that I can do anything I want in the game(even mod it to my desire) yet I'm too lazy to do anything, even do a fanfic about the game. Maybe in some other time I would, and yes, I'll be watching the game's progress from afar. 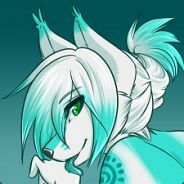 E5DCM-I921G-7R1E3 - A beta code for some game. Might want to ask me back at it's original site for the correct one though. Better be fast, not that patient here. I'll be observing from afar. Hey asam3, Welcome to the forums! And something very important: Greetings from Poland !!! I have been playing transcendence since about 4 years ago and have finally gotten around to joining the forum, i am interested in modding but have no idea what to do or where to start. thanks to all who support and mod transcendence and to George Moromisato for creating the game. transcendence rules!!! Anterwerp wrote: I have been playing transcendence since about 4 years ago and have finally gotten around to joining the forum, i am interested in modding but have no idea what to do or where to start. thanks to all who support and mod transcendence and to George Moromisato for creating the game. transcendence rules!! !